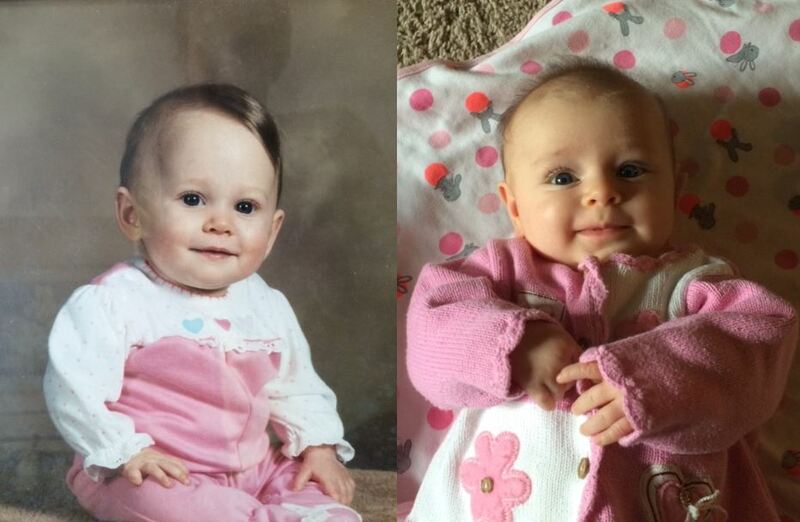 My mom sent me this photo the other day, because she thinks it proves Lily looks like me. 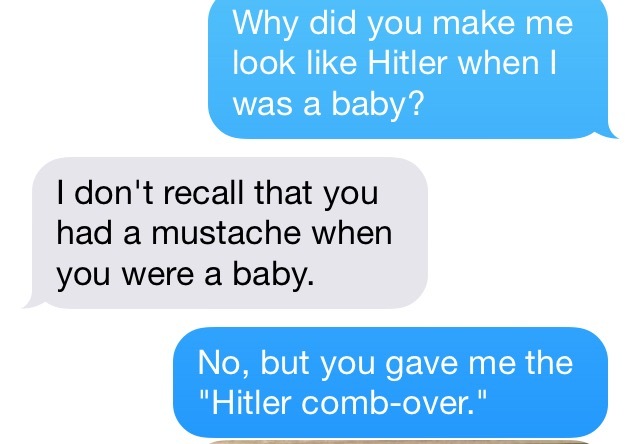 I think it proves she tried to make me look like Hitler when I was a baby. The resemblance is uncanny, amirite? 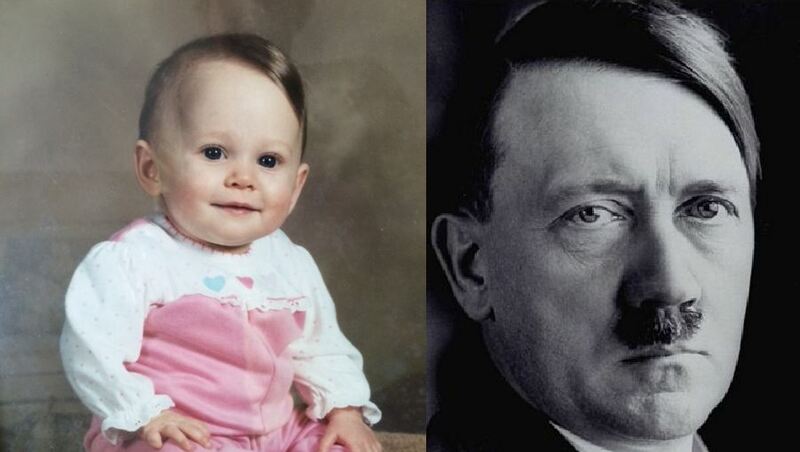 I mean, with that choice of hairstyle, I’m not sure why she didn’t just draw the Fuhrer’s mustache on me and get it over with. My mother, of course, vehemently denied any wrongdoing. 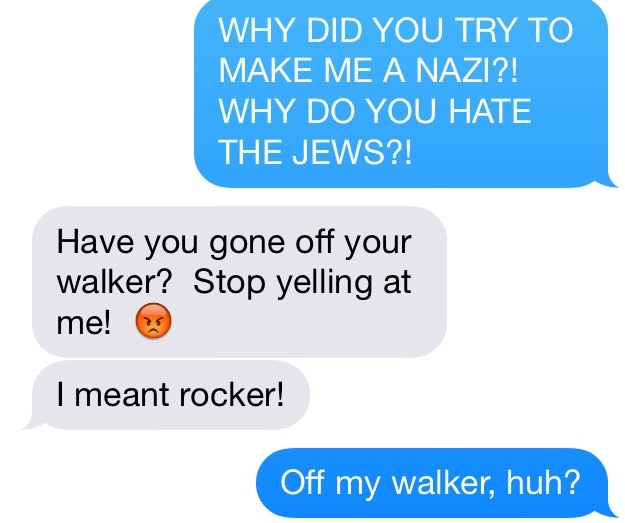 I think we all know which one of us is truly off her walker. Lmao. I feel your pain. For the first 10 years of my life, my Mom had my hair cut like Moe from the 3 Stages. Then I graduated to Dorothy Hammill.